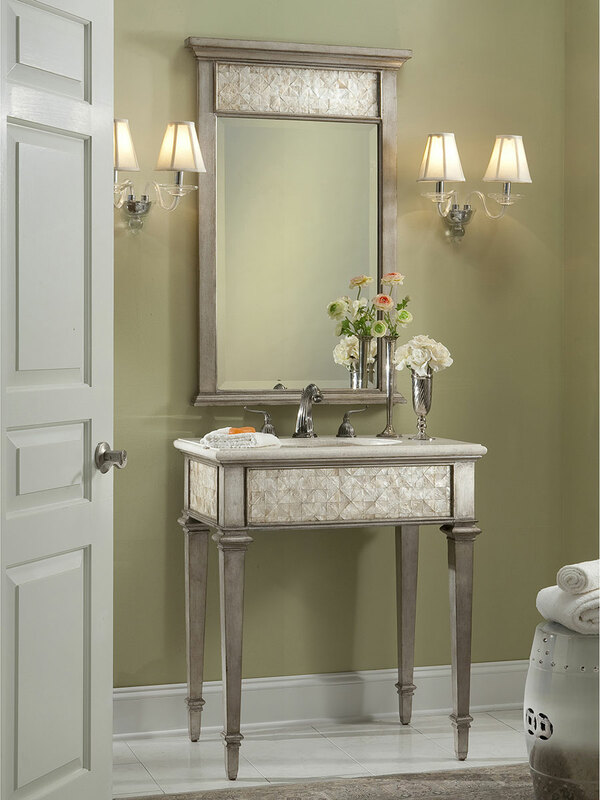 The 32" Marquee Single Vanity is an excellent addition for any bathroom looking to add some elegant flare without taking up a lot of space. 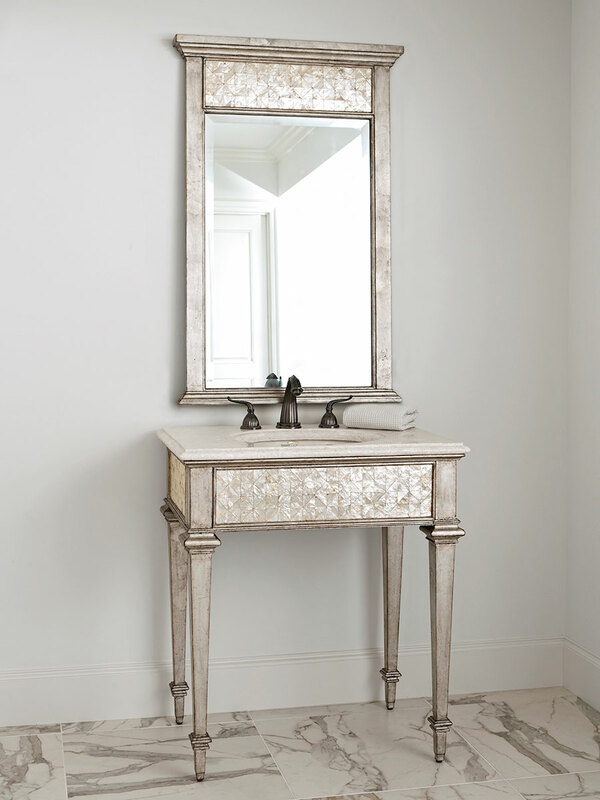 Featuring shimmering inlaid capiz shells and a silvery finish, the Marquee is here to provide simple, exquisite style to your home! 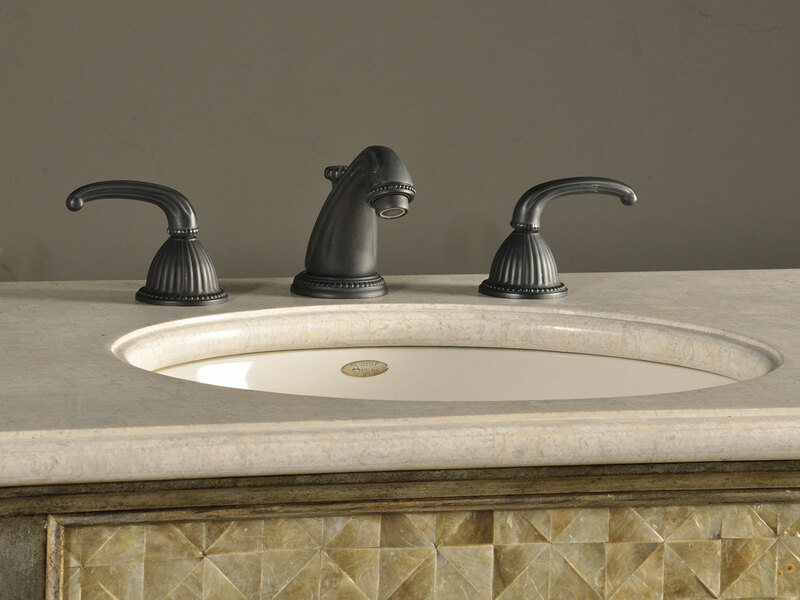 Its marble counter-top is installed with an undermount sink. Faucet and mirror sold separately.